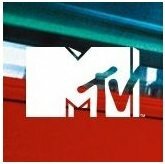 Music TV Channel / MTV Polska is the Polish version of the international music channel MTV. It was launched on July 7, 2000 and replaced the music channel Atomic TV after it was purchased by MTV Networks Europe. It is currently operated by Warsaw-based MTV Networks Polska (which runs also VIVA and VH1 Polska) and is available on cable and digital satellite television. It airs both American and European (mainly British) MTV shows, as well as local production. On July 17, 2012 channel started to broadcast in 16:9 picture format.